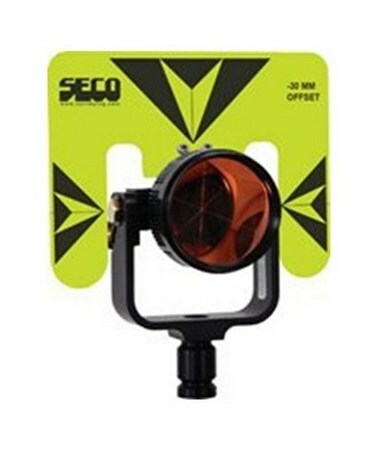 The Seco Aluminum Prism Assembly features a 62-millimeter diameter prism with copper-coated canister that can be easily mounted in 0 or -30 millimeter offset position with its waterproof M20 universal mounting thread. It also includes an aluminum tilting prism holder with front or rear locking clamp to securely hold it at any desired position. It offers a tilting axis height of 115 millimeters. 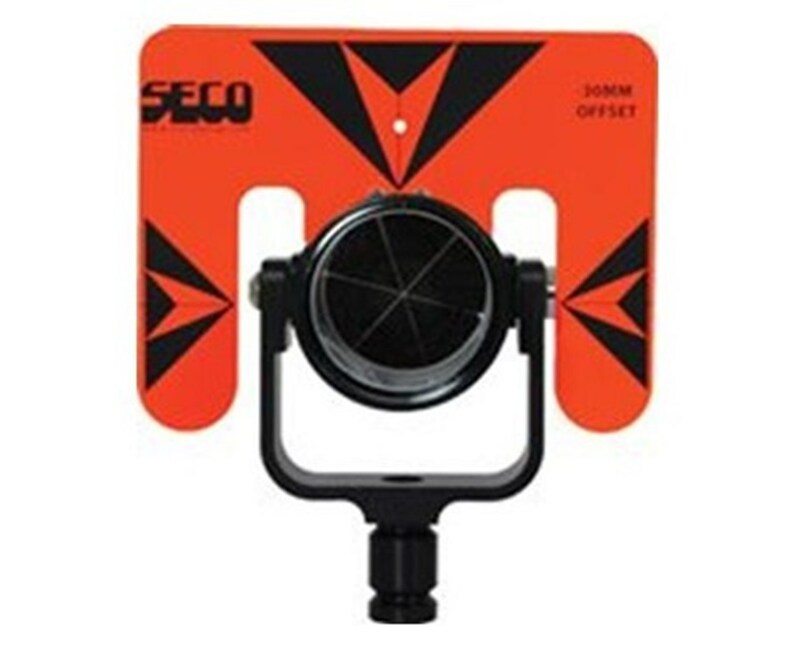 The Seco Aluminum Prism Assembly comes with a 5.5”L x 7”W x 0.05”T steel target. Ideal for any construction site or surveying field, it is available in two bright colors—fluorescent orange and yellow—to provide maximum visibility. 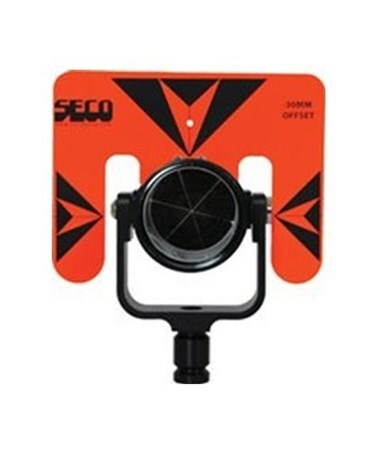 The Seco Aluminum Prism Assembly comes in two different lock options and color variations to suit various surveying needs. Please select your preference from the menu above.